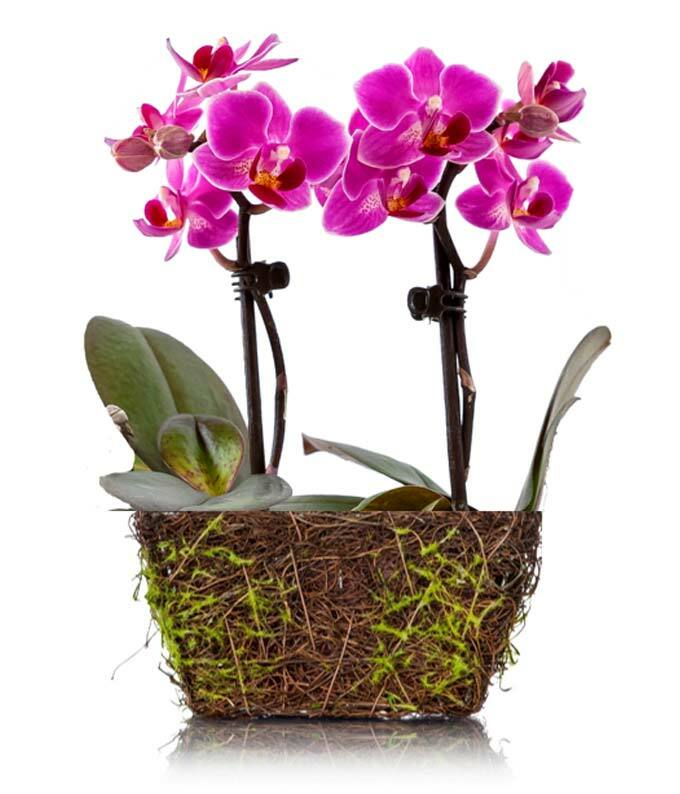 This planter orchid offers the splendor of miniature blooms that make a decorative allure for any room. Long lasting and easily maintained.Simply add one ice cube once a week and allow for indirect sunlight in any room and this plant will flourish. Delivered in a gift box to your recipient's doors. Plant freshness guaranteed.